Radioactive Leaks On Both Coasts! While folks were kept preoccupied by the Super Bowl and national election propaganda, they were missing the real news story of the week; major radioactive leaks that may get as severe as the Fukushima disaster have been discovered at both Los Angeles and New York City. 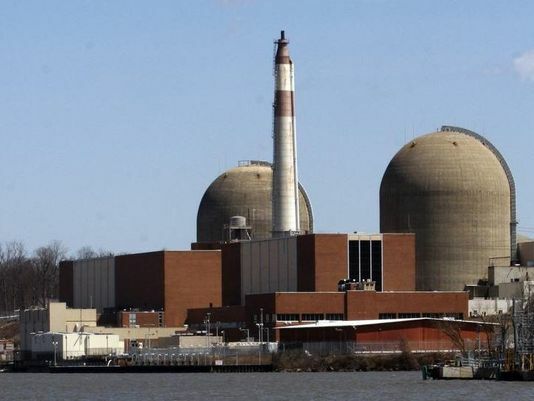 A dirty water leak in Entergy’s Indian Point nuclear plant serving New York City is escalating radioactivity levels up to 65,000 percent higher than normal in the groundwater and streaming into the Hudson River. Governor Andrew Cuomo has called on state and federal officials to investigate. The massive gas well leak in California’s San Fernando Valley that has been spewing giant clouds of poisonous methane and hydrogen sulfide gas into the air over Los Angeles now is found to also be sending “lethal levels” of radioactive uranium and radon into the air as well. Thousands of residents have been evacuated from the area since the leak was discovered in October. Southern California Gas Co. is still attempting to find a way to plug the leak. While the uranium and radon are from natural sources found in the Earth, Nichols notes that there is so much natural gas spewing from the well, the volume of radioactive material is being measured at 1.91 Curies an hour. Using the French Becquerel for measurement, Nichols noted that the well is releasing one Becquerel, or one radioactive count per second. He said this means the well is spitting out one point seven trillion Becquerels of radioactive material a day. It isn't enough to kill people quickly, but breathing this stuff over any length of time can attack the bodies of both man and beast, Nichols said. "What it all means is it is time for people in LA and the San Fernando Valley to get out of town." In New York Governor Cuomo says he has asked the Department of Environmental Conservation and the Department of Health to investigate the leaking tritium-contaminated water at the Indian Point plant. Entergy admits that “alarming levels” of radioactivity were discovered at three monitoring wells but company officials said they do not believe there is a threat to human health. Cuomo said the site, located about 40 miles north of Manhattan, has been under increased scrutiny because of several unplanned shutdowns citing potential risks to the city and surrounding suburbs. A radioactive tritium water leaks were discovered at the plant in 2005 and again in 2014. At that time federal regulators said they believed there was an ongoing leak at the plant which had been occurring for some time. In 2014 company officials could not identify a source of the leak. The earlier leak was traced to a failed weld in a canal leading to one of the plant's spent fuel pools. A spokesman for the Nuclear Regulatory Commission said the current leak was caused by a sump pump that was out of service. The pump was designed to filter contaminated water from an overflow drain into a treatment system. The Indian Point plant reportedly furnishes electricity to about 30 percent of New York City.